Our weekly sermon series is available online in multiple formats. You can download the Sermon.Net app for you iPhone or Android, here. You can download our sermon podcast on iTunes, here. And you can listen to the sermons by clicking the player to your right. 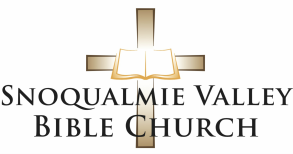 Website by Inland Connect Copyright © 2015 - Snoqualmie Valley Bible Church.